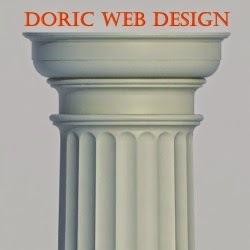 Whilst every one's visual tastes are different, there are several universal principles that successful websites embody. We've distilled these down for you into a simple list of critical success factors. As the web matures, visitors come to your site with higher expectations. Failing to satisfy those expectations can dramatically reduce the effectiveness of your website. Many sites on the web - even cool ones - fail because people either can't figure out how to use the site or couldn't be bothered trying to work out the innovative navigation that the web designer spent countless hours inventing. To ensure that visitors find your site easy to use, it is advisable to run some simple tests with a small number of people from your target demographic. Just ask them to perform some basic tasks on your web site (such as "purchase 2 widgets using this credit card"). You may be surprised at the results and the findings may vastly improve your website overall. People access the internet in many different ways using an increasing number of connections, browsers and devices. From fast corporate connections to mobile broadband, blackberries and iPhones, speech browsers, old browsers through to old fashioned dial-up the range is enormous. Your site needs to be usable on any of the platforms that people are likely to access it from. The key concept here is "graceful degradation" which simply means that whilst a simple device might not display your web page in all its glory, it should still display in a respectable manner. A good strategy is essential to gaining a good return on the money invested in developing your website. Our web strategy page covers 5 of the primary strategic reasons that organisations seek to achieve with their website. Ensure that you know why you have a site and what business outcomes you are expecting before spending any money developing a website. Everyone wants to have the best looking site. Many web designers become obsessed with this - partly because it is fun and partly because it is an easy sell. Whilst your site should look great, its appearance is just one part of the puzzle. The key is to identify your target demographic and implement a design that they find appealing, but make sure that all of the other points mentioned above have been addressed. Simply having a website is no longer enough. You need to actively build traffic by promoting your site. There's several ways of doing this such as Search Engine Optimisation, Pay per click advertising as well as the traditional offline methods such as print, radio or flyers. The important thing is that you have a strategy and execute it. Some sites only want people to visit the site once. Unless your site is one of those, give consideration to providing people with a reason to come back. Most people surfing the net visit so many sites in a day that they simply can't recollect all of the sites they've been to. To overcome this, your site needs to offer a compelling value proposition for people to revisit. There's some great tools around that not only track how many people visit your site, but what they do when they get there. This provides valuable feedback that can be used to improve your site by identifying bottlenecks and departure points. With that feedback based on real-world usage your site can be improved to enhance its effectiveness. Credibility Not every business needs to use their website to promote their business, however people considering doing business with you will often check you out on the web to gain a level of comfort that you’re a business with substance. Other businesses find that having a good website is essential for attracting good staff as most applicants will check out your website in preparation for an interview. A website can provide around the clock customer service that may be too expensive to implement with human staff. In a society that craves instant gratification, tech-savvy customers value the option of being able to complete customer service tasks online with out the need to talk to a customer service rep. From mundane (but important) tasks such as reviewing billing histories or resetting passwords, a webstie that is connected through to your back end systems can improve the level of service that you are able to offer your customers. By adding self service capabilities to your website you may be able to reduce the load on your call centre, sales team and customer service staff. By reducing that workload your business will be able to efficiently service a larger customer base without needing to hire additional people. The acronym stands for Search Engine Optimization, but there is more behind these three letters than you may think. Search Engine Land defines it as the process of getting traffic from “organic” or “natural” listings on search engines. Tech Target states that SEO is the practice of manipulating features of a website to improve its rankings on search engines. When you look for a definition of SEO, “search engine” and “rankings” are words that are likely going to appear. In short, SEO is all about making sure that your website is front and center when an individual types in words pertaining your business (also known as keywords) and submits them to a search engine. Bing, Google and Yahoo are the big players in the world of SEO. Everyone wants to have the website that appears at the top of the page when a search query is submitted, but there can only be one. To increase your chances of being included in the handful of websites that people initially see, there are a few factors you’ll need to consider. First, it’s important to take a look at the HTML and content that is going into your website. This is what search engines digest and use to rank websites accordingly. Content that is unique is more likely to perform well on a search engine such as Google. Similarly, including informational third party links within content can help your website’s cause. Google specifically looks for link diversity within pieces, making it a prime area of focus for those concentrated on SEO performance. Next, it’s critical to incorporate industry-specific keywords into your content. Keywords can help ensure that your site instantly pops up as soon as an individual inputs a search query that is relevant to your business. There are several free tools on the market that can help you determine which keywords are ideal for your company, including the Keyword Tool by Google. By using this resource, you can determine which keywords have historically improved website traffic. Finally, interlinking all of your webpages and redirecting traffic through social outlets can help you substantially improve your SEO ranking. This means every time you send out a tweet, you should try to incorporate a link that directs to one of your webpages, which includes links to all of your other sites – it’s like one big network that loops back to itself. These are variables that you can control and manipulate to enhance your SEO potential. MOZ Pro: MOZ Pro is an all-in-one SEO management tool that delivers everything from information on social media performance to keyword rankings. Additionally, MOZ has data visualization capabilities, which can help you put your information into easy-to-understand graphics. Majestic SEO: Majestic SEO can be a valuable tool to those who want to be able to gather information on items like backlinks, indexed URLs and external references. The company also offers different subscription levels, meaning you don’t need to purchase a membership that comes with every single feature doesn’t fit into your budget. Raven Tools: Raven Tools is an option for companies that would like a simple dashboard that they can log into to view SEO stats on a whim. With Raven Tools, users can manage keywords, analyze site performance and size up the competition right from the program’s main page. SEO PowerSuite: SEO PowerSuite is an in-depth program that offers you multiple tools to research keywords, determine their rankings and optimize the HTML of your website to improve SEO. It also includes helpful tips for improving your link building strategy, as well as the content on your site. Advanced Web Ranking: Advanced Web Ranking is another simplistic SEO program that helps you conduct competitive research and stay on top of search engine updates that may be impacting your strategy. AWR has both a cloud and desktop version. It’s important to keep in mind that it is a combination of features that help you improve your SEO ranking. Focusing on insightful hyperlinks, for instance, will not help you increase your performance if you are ignoring other factors that play a role in SEO. Once you grasp the basics of improving your website’s SEO ranking, you may start to incorporate dozens of keywords and hyperlinks throughout your page to drive traffic. However, this may be a fatal mistake as search engines strive to weed out websites that are designed for the sole purpose of increasing traffic (rather than providing insight). One big pitfall to avoid is being blacklisted by Google – the biggest search engine on the Web. You may be banned from search results if you stuff keywords into your site, as well as ALT tags behind pictures. Google naturally assumes that your website is not designed to provide worthwhile information if you have a slew of SEO tactics but nothing to show for it. You can learn more about how Google detects “bad” SEO in this article. Another SEO mistake to avoid is creating a poor meta description and title tag. This is what shows up when people come across your company in search engine results. Ideally, your title tag should be no more than 70 words, while your meta description should be a maximum of 160 characters. Additionally, each webpage’s meta description should be unique. Redirects are another problem that can hurt your website’s SEO. Links should always redirect individuals to valuable, rich content, whether or not it’s another area of your site. Furthermore, hyperlinks should be audited routinely to ensure that none are broken. The bottom line is that there are plenty of mistakes that you can make to hurt your website’s SEO value. That being said, you will want to check out this article to create your ultimate guide to SEO and avoid these pitfalls. The rules of SEO are constantly changing, and they only become more complicated as search engines make updates to provide the best results to Web surfers. However, understanding the basics can give you the foundation you need to help your business establish a presence on the Internet. For more information on SEO and how you can create a strategy that fits within your budget, review this insightful article. There is always more to be learned about this ever-evolving concept.